Describing Frederick Alonso is like describing the wind itself. You can know his name and see that he enjoys a simpler way of life, but only when you stop and really feel his music can you come to understand him. Frederick, known to his friends as “Rico”, was born to a lower middle class family in Philadelphia, Pennsylvania. He spent most of his high school days working as a photographer for the city newspaper and teaching guitar lessons in the school gymnasium. His father worked at the local foundry and often encouraged Rico to consider a trade school. Instead, Rico went on to pursue his musical career and studied classical music on a college scholarship. Rico participated in a study abroad program that allowed him to spend a year in Barcelona, Spain. There he became heavily influenced by Flamenco. He spent several months, performing with a group of Spanish musicians and they recorded an album that gained some local popularity. He made lifelong friends in Barcelona and promised them he would one day return. Like all good things, his time in Barcelona came to an end. His sister, Juli, had just been accepted into law school at Penn State University. Overjoyed by her success and at being able to see his family again, Rico returned to the states in good spirits. Juli’s induction ceremony to Penn Law would be an occasion forever marked by tragedy. While Rico was driving Juli home from her ceremony, they got into a terrible car accident that claimed Juli’s life. This threw Rico into a depression and he was overcome with grief and remorse. The next few years were exceptionally difficult, his father’s health began to rapidly decline after Juli’s death and Rico’s father passed away in a few short months. Rico struggled to make ends met so that his mother could keep the house, but they eventually had to move into a poorer neighborhood. He was able to then find work as a bartender and he attempted to get back into music by joining one of the bands that performed each week. His time with them didn’t last long. He quickly discovered that hard rock called on him to express too many things he just didn’t feel. Rico came to cope with the death of his sister and father through his music; which now reflects the guilt that he carries, but is brightened by the memories of loved ones and the hope that holds together what remains. Rico is not a man of any particular faith or creed, but as a spiritual person, he recognizes a higher power. He hopes that Juli’s spirit can forgive him and that they’ll see each other again in the next life. As far as relationships are concerned, Rico finds it difficult to become deeply, emotionally involved with one person. He finds enjoyment in surrounding himself with larger groups of people. He’s drawn to the excitement of crowds and the exchange of ideas. He has formulated strong opinions about the world, and can at times appear cynical. He’s fascinated by new people and will happily spend hours just talking with complete strangers. Despite his outgoing and welcoming nature, when he finds himself alone with another person he becomes uncomfortable and insecure. Internally, he wants to say the right things and keep the other person happy, but he also isn’t sure of what he wants out of a relationship and is not particularly confident after all that’s happened. This causes him to appear distant and uninterested. His musical career is getting back on track now that he’s returned to teaching guitar lessons. He is trusted and respected by most of his neighbors, because his guitar lessons offer the younger school children a productive activity that keeps them out of the local gangs. He’s also working with a local recording artist to help share his songs of healing. It is a distant dream, but Rico plans to save enough money to move himself and his mother to Spain. He still keeps in touch with his fellow musicians in Barcelona, who assure him that there will always be a place for him should he manage to return. 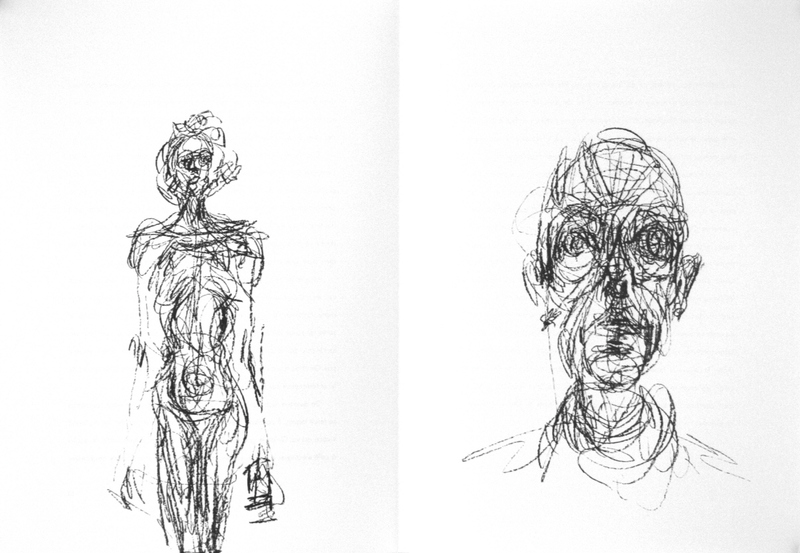 The visual style of Alberto Giacometti has always intrigued me with it’s kinetic appearance. It has a striking lifelike quality while ignoring any sense of photorealism. These images immediately have an emotional impact on me that feels tragic, and that drives me to empathize with the character. Renoir and Max Beckmann both have this fantastic way of approaching the figure in a way that is gestural and yet also structural. 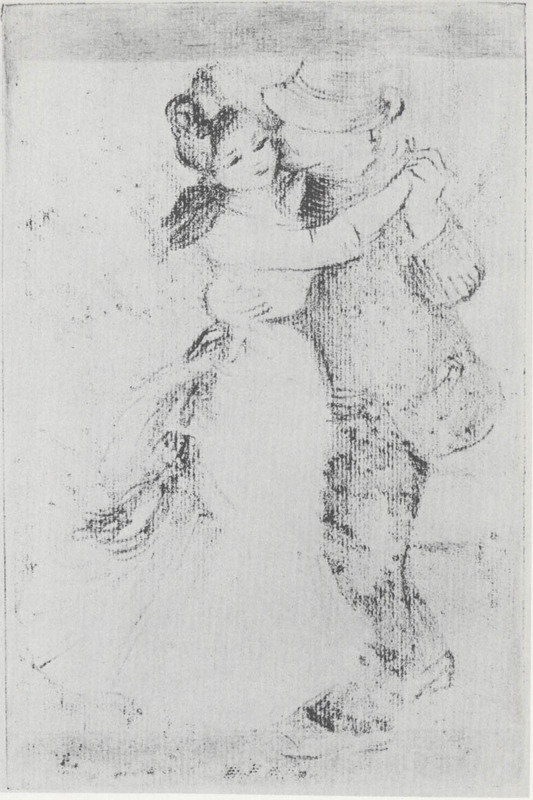 Renoir is able to reference the figure by implying key features and hinting at the movement in the scene. 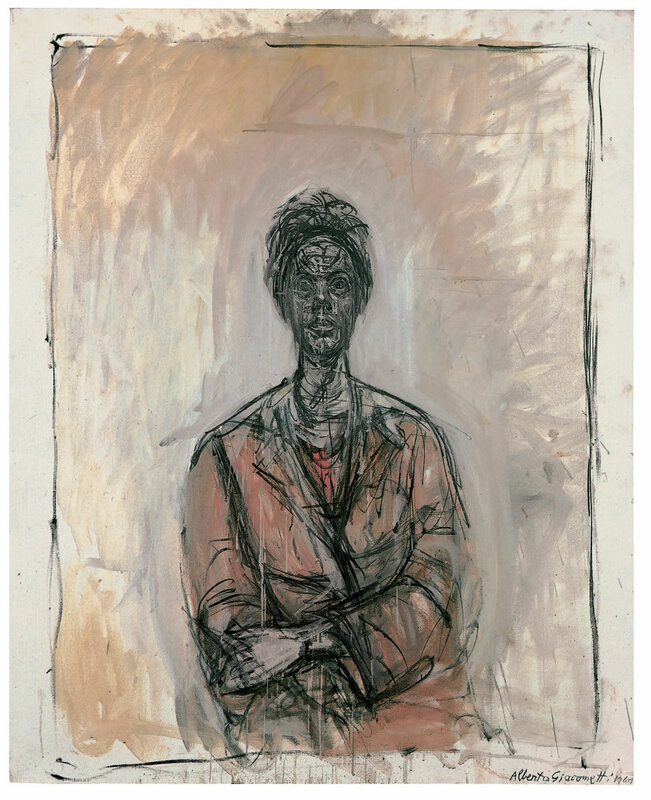 Beckmann is very detail oriented and his figures take on a more geometric look, but the mass is clearly communicated. 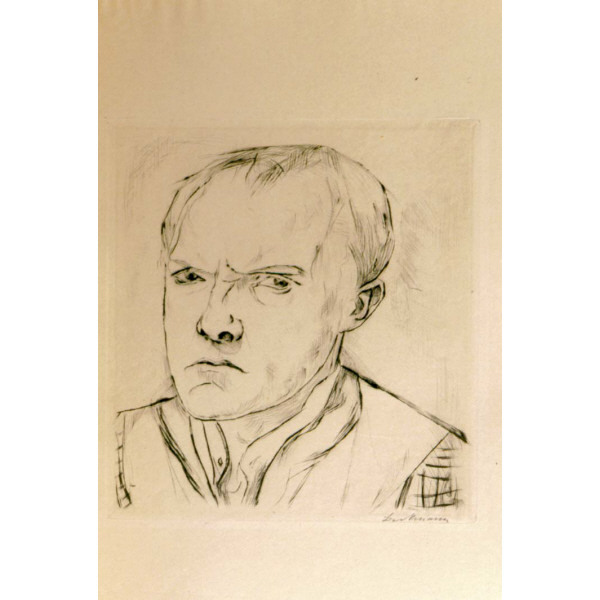 This particular image from Beckmann is a self portrait he did in 1918 before his mental collapse. Striving for these qualities in a animated character would bring out a more dramatic nature in the character and aid his story and overall situation. Finally, I had to consider how an animated character with a more gestural appearance would move on screen. The most striking visuals I can recall with a consistent energetic movement are a few music videos that employ rotoscoping techniques to give the narrative of the song more depth and grit. In the case of “Take On Me” by A-ha, the fact that the male and female characters are separated by two different worlds is emphasized by the more graphic appearance of the comic world the male lives in. 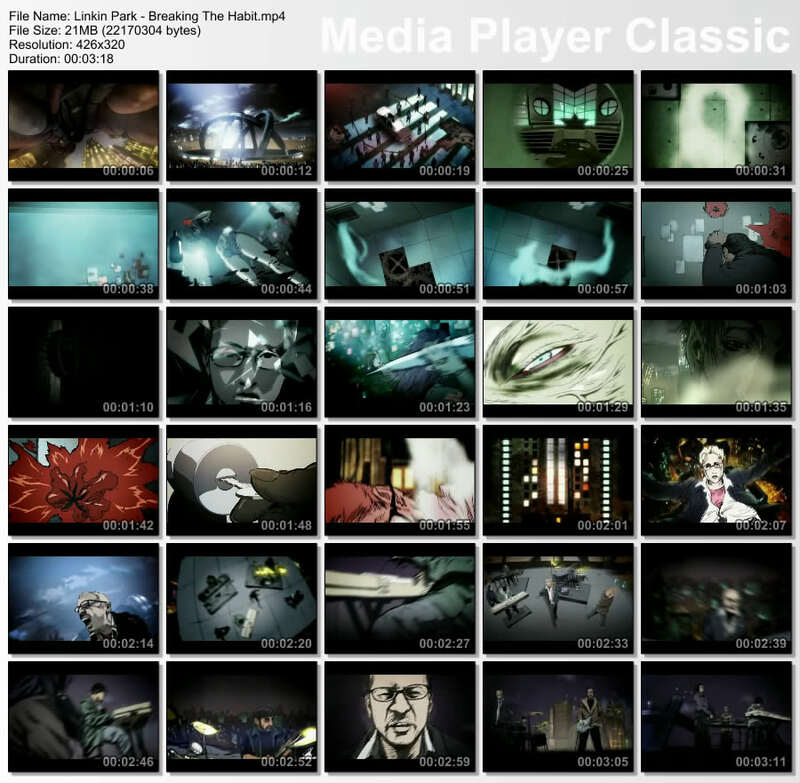 Linkin Park’s “Breaking The Habit” uses a sketchy, harsh style to illustrate the fragile lives of the characters in the music video. 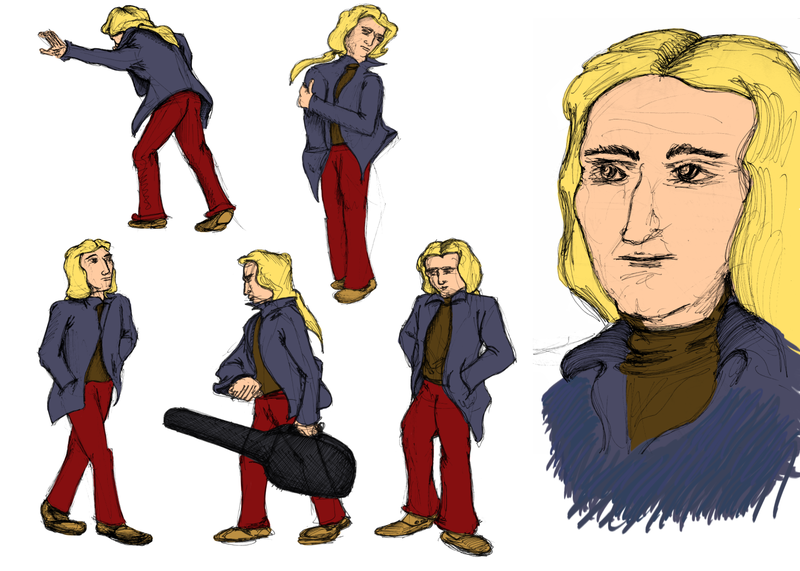 The main character goes from a state of non-movement and actually reverses his death by a decision to change his fate. This moment is communicated through exaggerated camera moves and the movements of his body forcing the perspective of each shot.